Expired 3wk ago . Last validated 1mo ago . Used 12 times. German Boett This is an amazing deal that works as described. Enter the promo code into the code box and click apply to get this discount. Bassil Vasquez I have tested this code and is working as described, apply the code at the checkout process and enjoy the discount. MILITZA SALAS I am re-activating that this deal works as described. Just type the promo code into the promotion code box and click apply to enjoy the promotion. Some exclusions may apply. Gabriela This deal still works as described. I am re-activating it. Save 10% off on your first order. To redeem, use promo code "WELCOMEABOARD" to get the discount. Leng-Leng As of 4/13/18, I tested this promo code and verified that it works as described. Exclusions apply. Josmar Flores Simply enter the code during the checkout process to apply this discount. There may be some exclusions that apply to this deal. 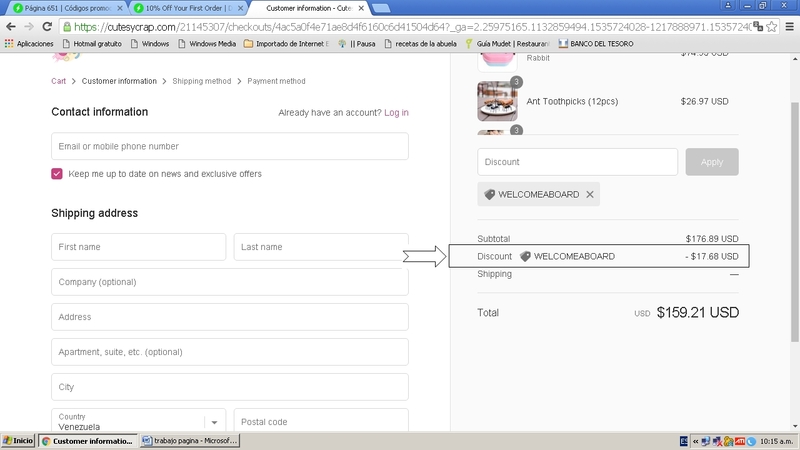 Manuel The promo code WELCOMEABOARD is working perfectly fine. To redeem your discount, only apply the promo code at checkout page and get 10% off on your first order. Sammy At the time of the purchase place the coupon to get a great discount of 10% Off Your First Order at cutesycrap. Gabriel Brito I'm validating that the information about this deal is correct. 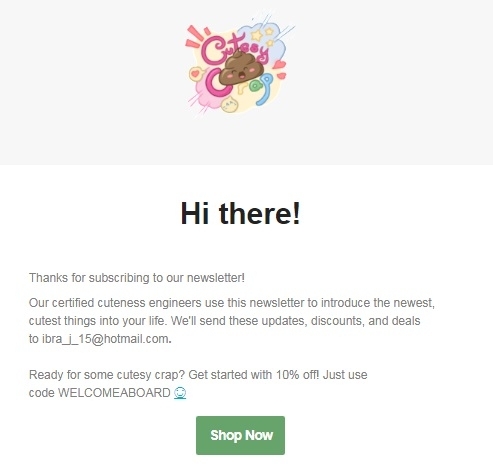 Just apply this promotional code: WELCOMEABOARD at checkout to get 10% off four first order at cutesycrap. 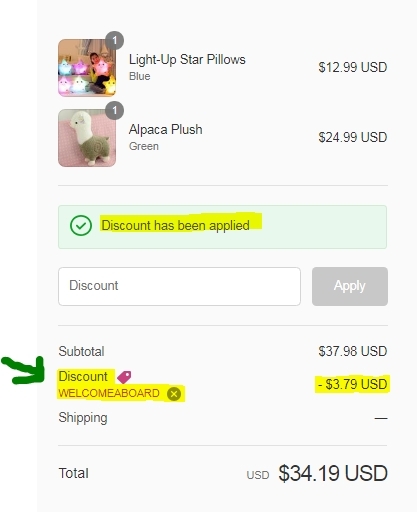 Maia Oropeza Just go to the online store, add to the cart the items that you want, apply the promo code during the checkout process to get the discount and take 10% Off Your First Order now. Offer ends soon. Exclusions may apply. For more information about this deal see screenshot.